I am really loving the suggestions from my friends! This comes from my friend, Sherry. Another “toy” that Ruby got for her birthday last week was a microscope. The key, for us, was getting the accompanying book “Greg’s Microscope” which really explained the fun you can have with one and how they work. Once she understood that, she’s wanted to use it all the time. I LOVE books- new, old, hand-me-downs, used, big or small. It doesn’t matter to me. The worst part is that most of the time I never read the same book twice. And since Amazon sells used books, I spend time scanning through the used books and sometimes they are just a penny! Course I have to pay for shipping but somehow I justify that the book itself cost me a penny. Well, the other day I went to a thrift store in town to see what books they have for children and it was like a big bookshelf of treasure! I got 23 books that were all award winning and some of my favorites (see picture for some of my finds)!! The best part was they were only 50 cents a book. Luckily the store is 20 minutes away so I haven’t been able to get back over there. This is another fantastic present for academically gifted readers. Many do not care if the books are new or old. They just love books. How to find books for gifted learners? 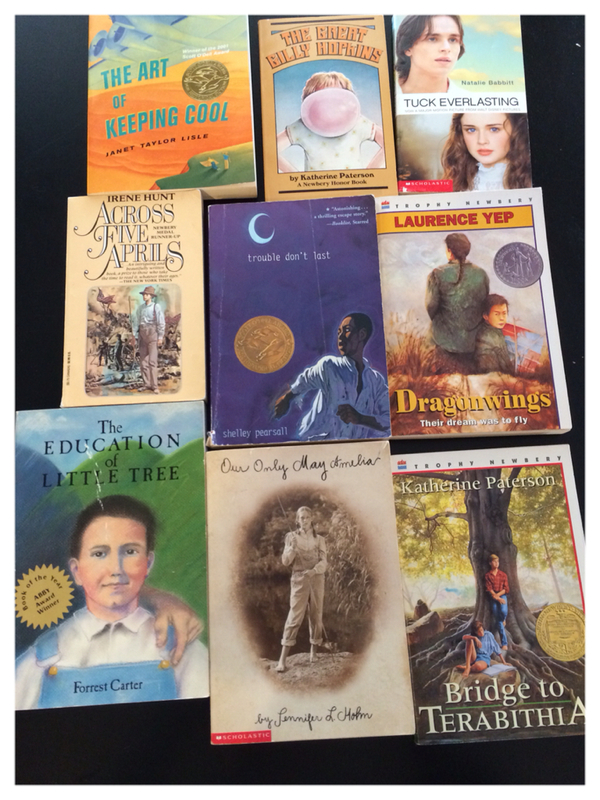 I am often asked by parents of academically gifted students how to find quality literature for gifted readers. Many times the content and issues surrounding characters in higher level books are not appropriate for the age of the gifted reader. For example, a third grader reading on an eighth grade level does not need to read about love relationships that might be addressed in young adult literature. Feel free to comment on any of your child’s favorite books. I love getting feedback about good books that academically gifted children enjoy.